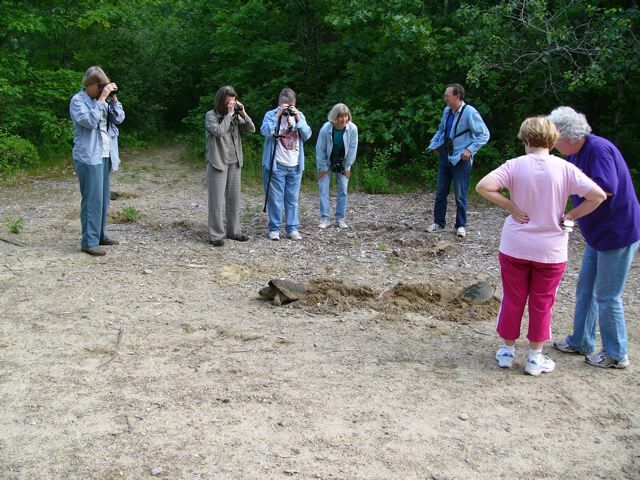 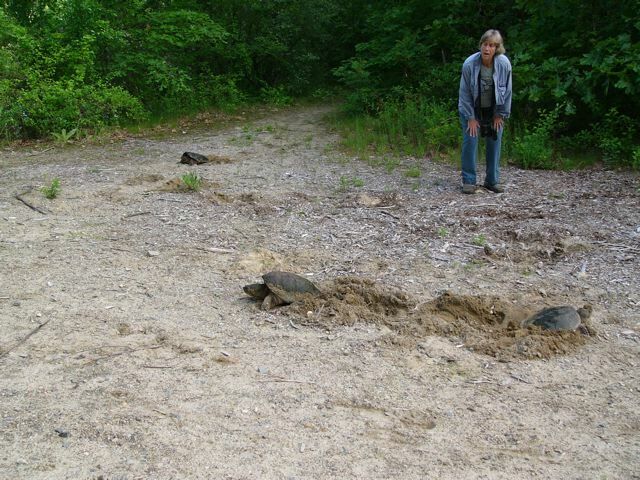 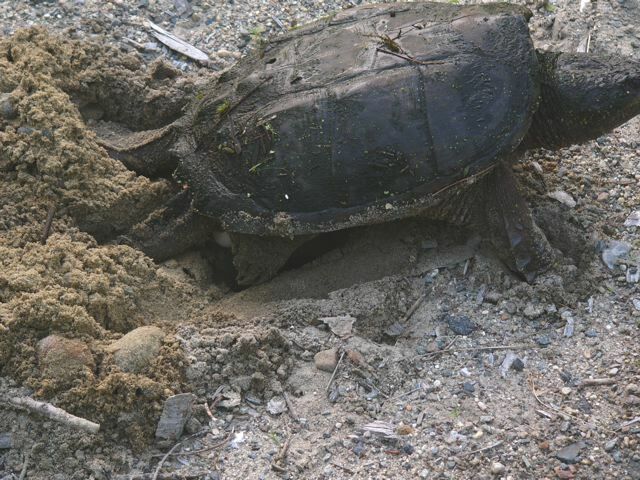 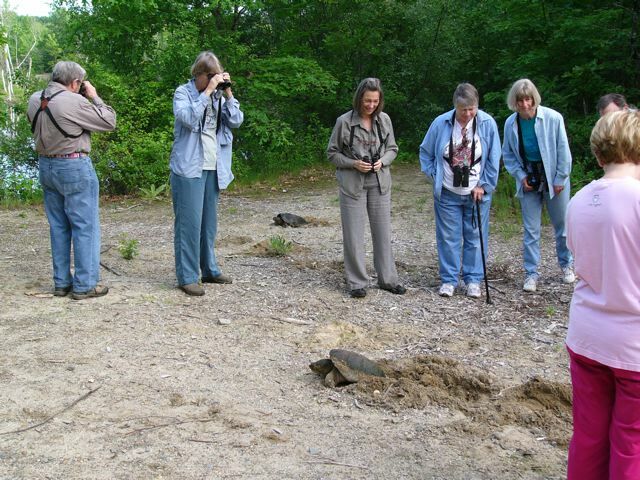 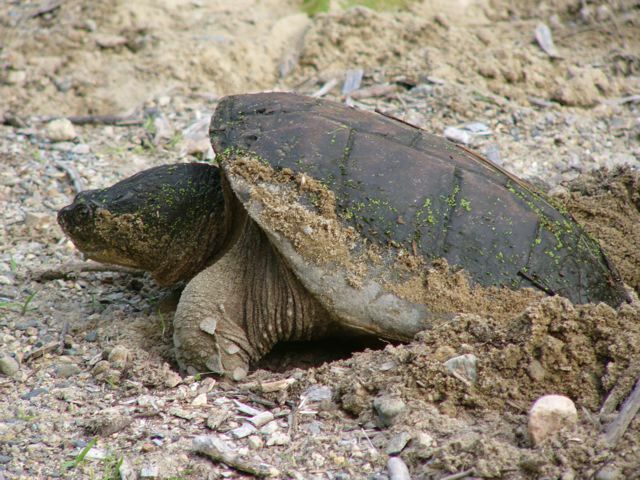 As we walked along the path we came to an open sandy area, where there were three snapping turtles laying eggs. 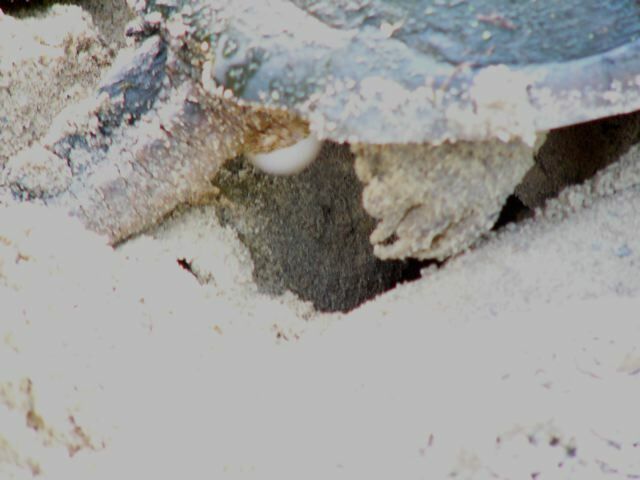 A close-up, lightened so you can see the egg. 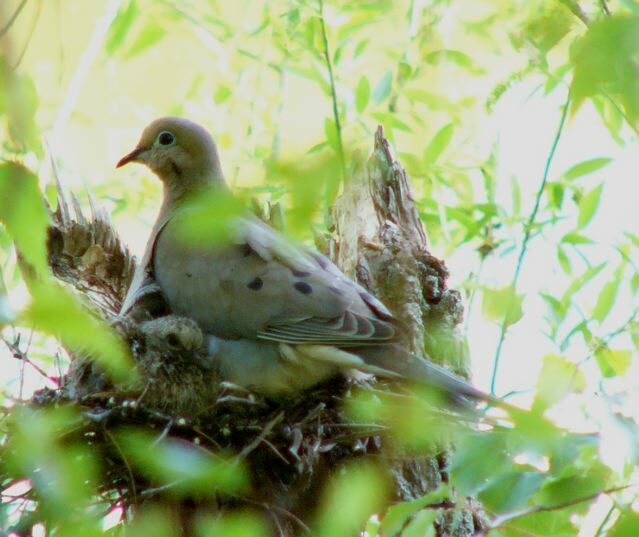 Another highlight, a Mourning Dove on a nest.